The aim of the caravan from Ayotzinapa to Ottawa, where the delegation will present to the Subcommittee on International Human Rights on April 28, is to raise awareness of the September incident, and of human rights violations across Mexico. According to the group, the Ayotzinapa students were attacked by police in Iguala, Guerrero on September 26, 2014, leaving six people dead, and leading to the disappearance of 43 others. During the search for the students, 15 mass graves have been uncovered in other parts of the state. None of them contain the remains of the missing. 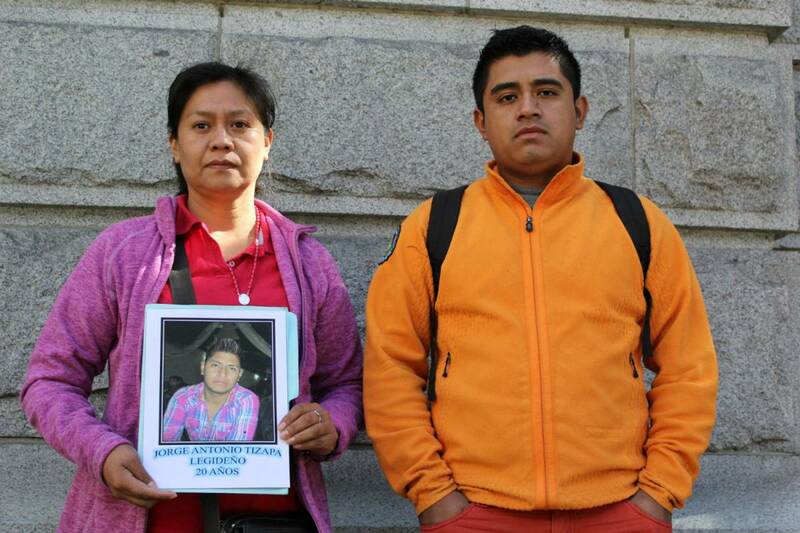 Jorge Luis Clemente Balbuena, a third-year education student in Ayotzinapa and a classmate of the missing students, said the group is seeking the help of Canadians in demanding justice. Amnesty International has criticized the attorney general of Mexico’s investigation of the students’ disappearance as “faltering”. “The past six months have been a period of heartbreak and torment for the family and friends of those who were forcibly disappeared last September,” Erika Guevara-Rosas, the Americas director of Amnesty International, said in a March 26 news release. The parents and relatives of the missing students have also criticized the auditor general’s report on the investigation, which stated that the group had been killed and incinerated by a local drug gang. Margena de la O, a reporter for the La Jornada Guerrero who has covered Ayotzinapa for the last eight years, said the families don’t believe the report because they feel the government: “misled them from the start, by producing supposed statements from detained suspects that their children were in graves”. According to official figures cited by Amnesty International, more than 25,000 people have disappeared in Mexico over recent years, with almost half going missing during the administration of current Mexican president Enrique Peña Nieto. Vancouver is the caravan’s first stop in Canada. On Friday (April 17) starting at 6 p.m., the group will host a fundraising event at the Royal Canadian Legion on Commercial Drive, which will include Latin American food and music. After Vancouver, the delegation will travel to Montreal, Toronto, and Ottawa. Vargas noted another delegation of parents was in the United States, while others will travel to Uruguay, Argentina, and Brazil. Some parents are also on a journey across different parts of Mexico to raise awareness of the issue. Posted on April 17, 2015, in Uncategorized and tagged Ayotzinapa, Mexico, Mexico drug war, Mexico student massacre. Bookmark the permalink. Leave a comment.